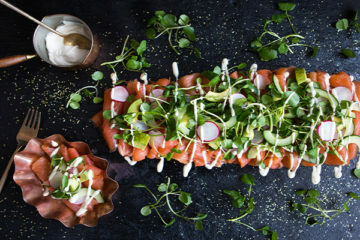 A stunning smoked salmon sharing platter with watercress & avocado from Watercress. 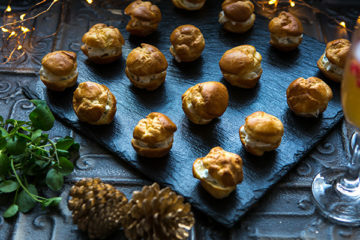 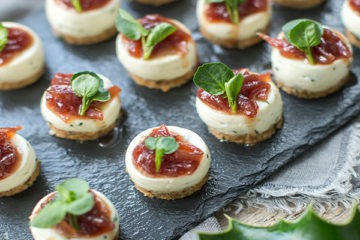 A savoury choux bun canapés with watercress & cream cheese filling recipe from Watercress. 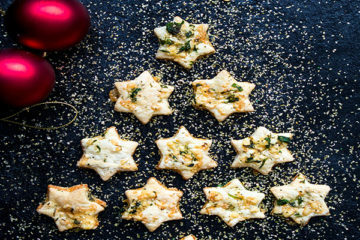 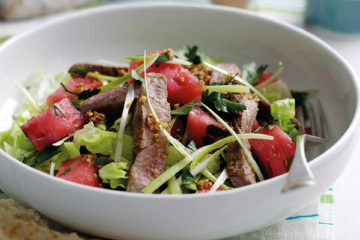 A cheesy watercress stars recipe from Watercress. 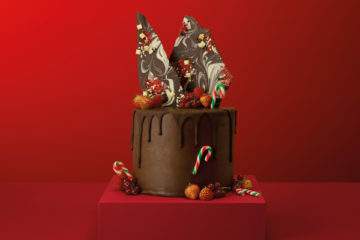 A stunning Christmas chocolate shard cake recipe from Dr. Oetker. 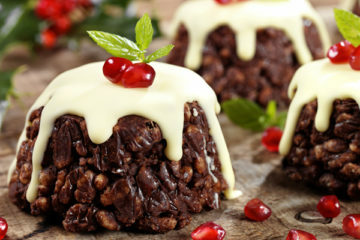 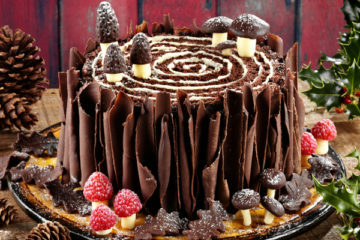 A delicious woodland Christmas yule log cake recipe from Dr. Oetker. 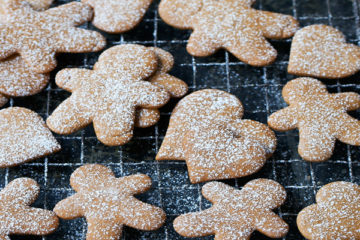 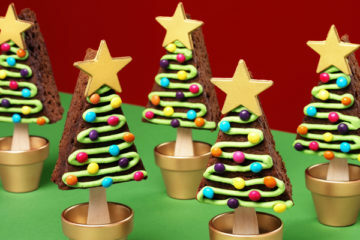 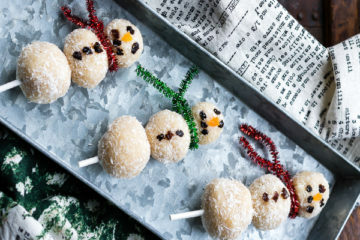 A Christmas tree brownie pops recipe from Dr Oetker.